iCloud is a well-known cloud storage solution and it is one of the most popular backup chocies for iPhone, iPad and iPod users. But, one daunting challenge that most Apple users encounter while using iCloud is to access the data in their iCloud backup file or download the backup file from iCloud itself. iCloud only allows you to restore the full backup file to iOS device which means every single existing data will be deleted. To overcome that challenge, we are introducing Androidphonesoft – a reliable and efficient backup extracting program, which will be very necessary in desperate times. Now, one thing is clear that iCloud only allows you to download and restore full backup file in your iDevice. So, let's say if you only want the pictures from the iCloud backup file then it won't be possible as iCloud doesn't really give you that option. That's why, you need to use this program to download the iCloud backup file in your PC and extract the required items from the backup file. First, download the iCloud Control Panel in your PC and install the software. Next, open the tool and enter your Apple user ID and password to access the iCloud account. 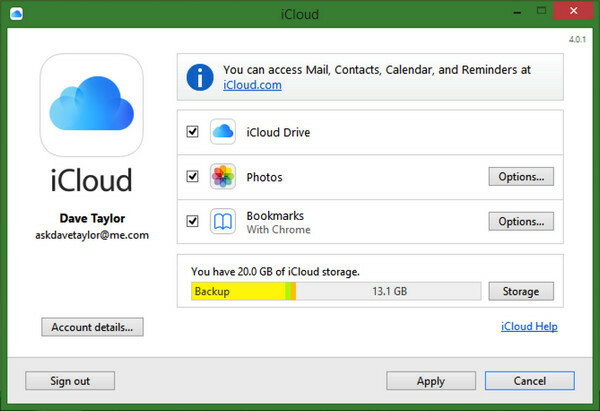 Now, you will have option to download certain and particular data types from the iCloud backup. You can definitely sync your memorable photos with iCloud Control Panel both from Mac and Windows PC. But again, you are restricted to access limited data only. And the worst part is this software doesn't give you the option to preview the data before downloading them. If this is not the answer you are looking for, please check the option 2 instead. Gone are the days when download iCloud backup files to computer were tough, especially for those who has less computer expertise. But now, Androidphonesoft developers have worked hard enough to create an easy and reliable iCloud backup extractor. Basically, it helps to access all the files inside the iCloud backup file. So, if you only want videos or pictures or any particular data from the iCloud backup file and want to download it in your PC then this tool will do a fabulous job. Additionally, it will assist you to retrieve all data from old or recently created iCloud backup files without the need of iDevice at all. If you want to access file types like contacts, messages, WhatsApp messages, call logs, app data, pictures, camera roll, documents or any other data then all you need to do is download this program on your Windows or Mac computer and install it. Then launch the program and choose "Recover from iCloud Backup File". Now, enter the iCloud login details directly inside the program and login into your account. Choose the recent iCloud backup file and hit the "Download" button to download the iCloud backup file into your computer's local hard drive. 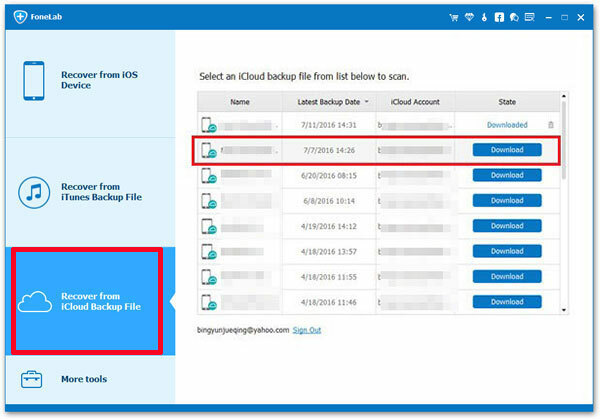 If you want to retrieve data from the iCloud backup file then scan the downloaded iCloud backup file and preview all the data contained inside it. You can browse all the folders from the software and check the items that you want to download in your computer. After selecting the files, simply click on "Recover" and all the files will be saved in your computer. 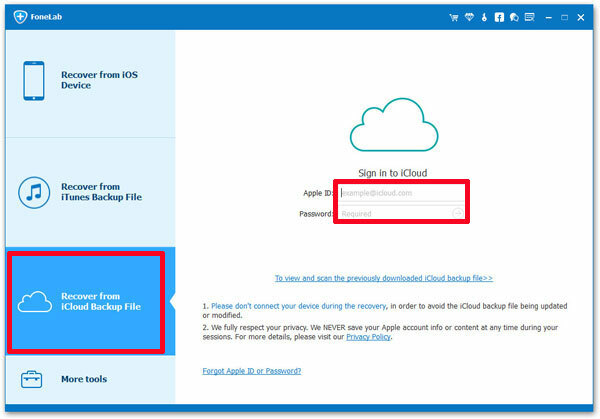 Another way to access iCloud backup file is via iCloud.com itself. All you have to do is open your PC or iPhone and launch your favorite browser. Then input your Apple login details and it will retrieve all the necessary information from your iCloud account. But remember, you can only access limited data from the browser. So, like you can conclude, downloading iCloud backup to computer is not that hard especially with Androidphonesoft. iCloud.com and iCloud control panel is limited to what they can offer. 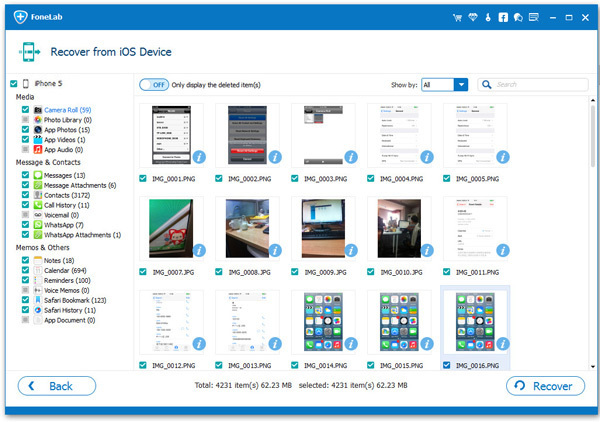 However, Androidphonesoft allows you to download iCloud backup file as well as extract all data from the backup file to your computer. The best part about FoneLab is that you can particularly select what kind of data you can download in your computer from the backup file.